It appears that the new MINI is a leader not just when it comes to driving fun but also in the field of active safety. This status has now been confirmed by the independent safety testing institute Euro NCAP (new car assessment programme ), in particular due to the new driver assistance systems. 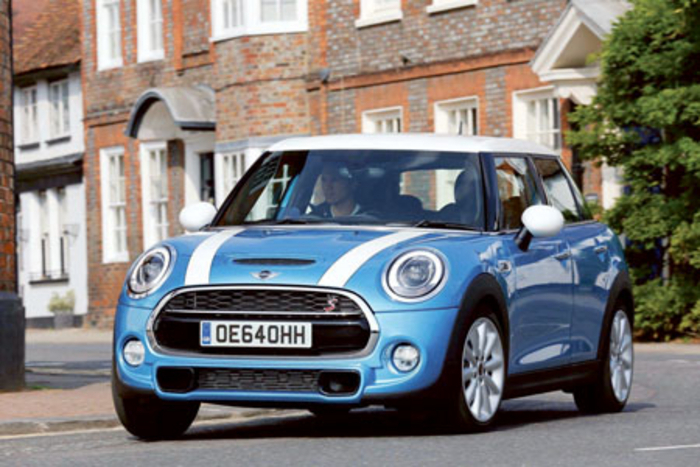 MINI has received the Euro NCAP Advanced award 2014 for its pedestrian warning system with city braking function. The system forms part of the driving assistant option for the new MINI 3 door and the new MINI five-door and is rated by safety experts as a groundbreaking innovation in reducing the risk of accidents in urban traffic. The Euro NCAP Advanced award has been in existence since 2010: sponsored by European governments, automobile clubs and insurance companies, it recognises outstanding developments that have resulted in major advancements in the area of active safety and occupant protection. The award focuses especially on novel systems whose impact is groundbreaking in that they go beyond the requirements of the Euro NCAP crash test recognised throughout Europe. MINI presented the pedestrian warning with city braking function in the new generation model, incorporating it in the programme of special equipment features. In the driving assistant option available for all model variants of the MINI three-door and the MINI five-door, it is combined with active cruise control, high beam assistant, road sign detection, and collision warning with city braking function. This functional diversity makes the driving assistant a particularly attractive option as it significantly enhances both comfort and safety when driving the new MINI. The effectiveness of the pedestrian warning with city braking function was subjected to extensive testing and confirmed by the independent Euro NCAP test laboratory. This was the basis for the system being selected for the Euro NCAP Advanced award 2014.